Nay Pyi Taw is a city located almost 400 km from Yangon, Myanmar. 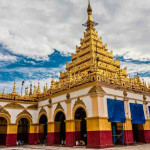 It’s been the country’s capital city since 2005 and is one of the places to visit in Myanmar that is divided into different zones separating shopping centers, hotels, government housing and generals’ homes. 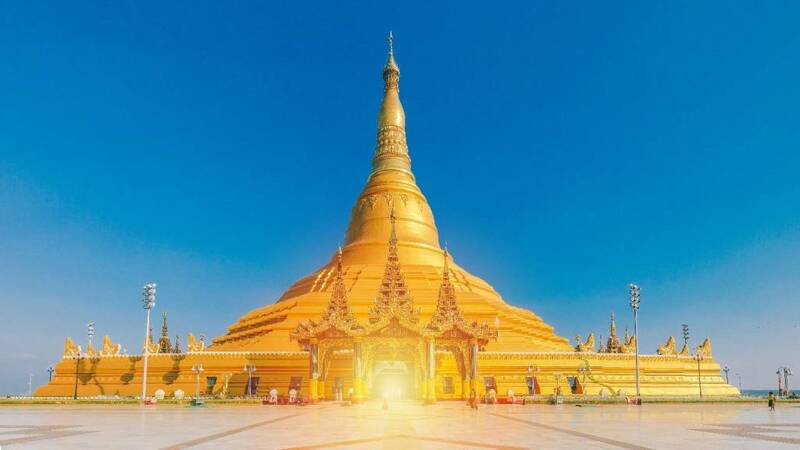 And although the main spotlight in Nay Pyi Taw is mostly on government activities, it still holds a number of interesting city attractions you can include on your Myanmar travel itinerary. To find out more about this capital city, continue reading our Myanmar travel blog as we list down things to do in Nay Pyi Taw. 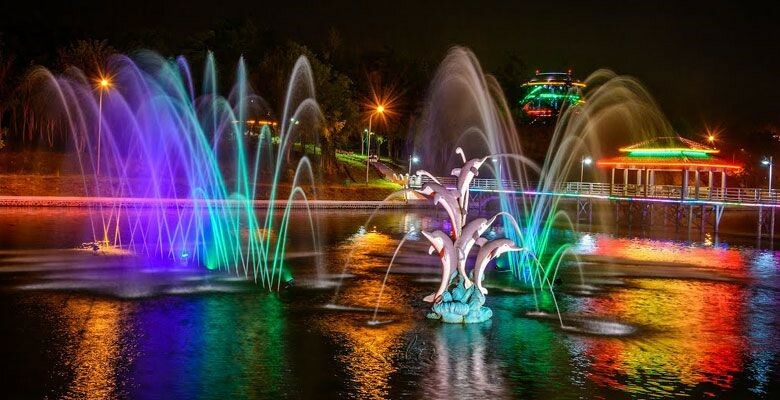 The Water Fountain Garden is a 165-acre park that boasts bridges, ponds, a huge waterslide for kids and fountains that lit up at night, showing off a beautiful fountain show accompanied by a music. A lot of people come here before the start of the fountain show to get a glimpse of the lovely sunset every day. There’s also a tower where you can climb up to get amazing views of the city so bring your camera with you and snap away. Our Myanmar travel blog about Nay Pyi Taw won’t be complete without featuring Uppatasanti Pagoda. 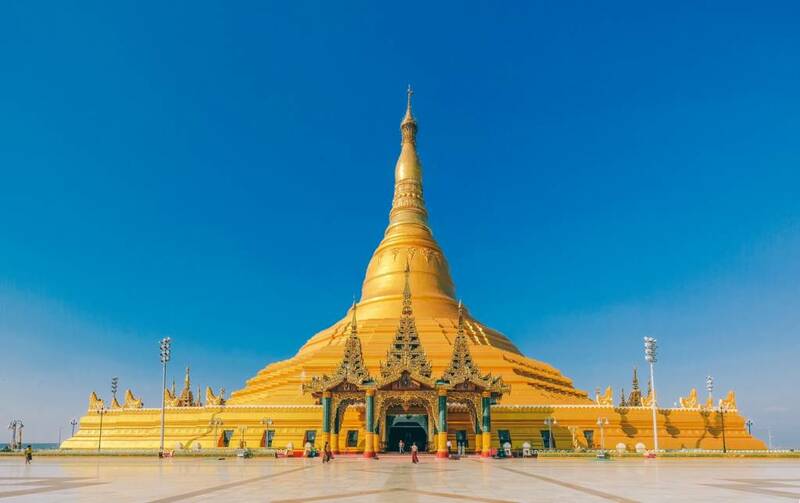 Built in 2009, the 325 feet high pagoda is a replica of Shwedagon Pagoda in Yangon which is considered as the country’s most religious site. The Uppatasanti Pagoda, although built 30cm shorter than the Shwedagon Pagoda is just as impressive. Inside, you can walk in the pagoda’s domed interior and find different religious statues and images. 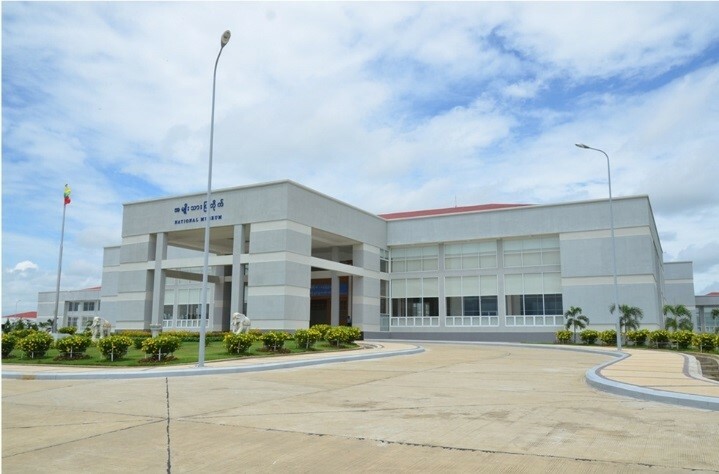 To get a good look at Myanmar’s historical past, drop by one of the must-visit attractions in Nay Pyi Taw – the National Museum. Completed in 2015, the National Museum built with spacious corridors might feel like there isn’t much to see, but it actually holds a beautiful display of works especially from the Bagan period. Intriguing and colorful paintings, important fossils and different architectural models of temples are just some of the interesting historical finds you’ll find inside. Showcasing the city’s most iconic landmark is Nay Pyi Taw’s National Landmark Gardens located beside the Zayar Thiri Sports Complex. It’s a 50-acre garden with lush greenery and a display of miniature versions of famous pagodas, prominent buildings and houses of different ethnic groups. You will be going around the place with a tour guide driving a small golf cart so no worries about getting tired of walking. Just sit and relax as your tour guide take you to the miniature version of popular tourist attractions in Nay Pyi Taw. The last one for today’s Myanmar travel blog is an attraction that will give you an opportunity to see different types of animals and wildlife species. 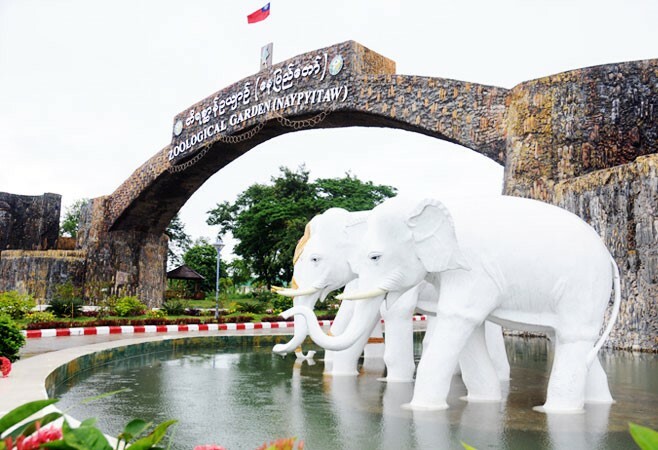 For those traveling with kids and would like to have a fun day with some animals, you might want to include the Zoological Garden on your Nay Pyi Taw itinerary. The 1062-acre garden is home to about 39 species of mammals, 30 species of birds and 12 species of reptiles. Among these animals are white tigers and penguins. Ready to pack your bags and start your Myanmar holiday to Nay Pyi Taw? Check flight booking offers at Bangkok Airways and start planning your itinerary. If you want to know other holiday destinations you can fly to, visit Bangkok Airways blog for inspiration!